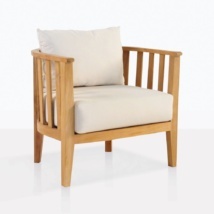 Relax indoors or out with this plush Aaron Chair shown in Kubu. 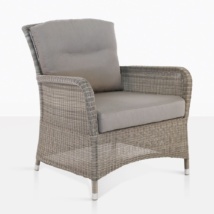 The elegant Aaron chair in the color kubu is perfect for warm weather entertaining and relaxing. 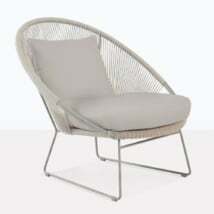 It is a stylish arm chair for any outdoor space. Perfect for indoors or out. 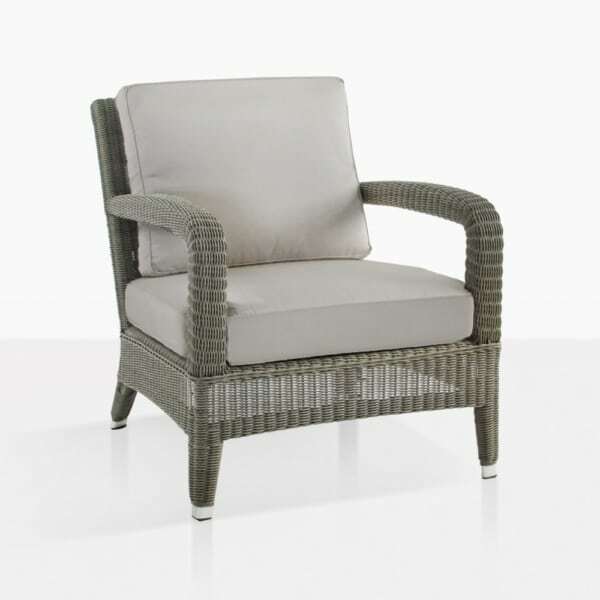 W29" x D34" x H36"
A traditional and simple design give way to a special kind of comfort with the Wicker Aaron Chair for relaxing indoors or out, shown in Kubu. Made with synthetic outdoor wicker and Sunbrella® covered cushions.